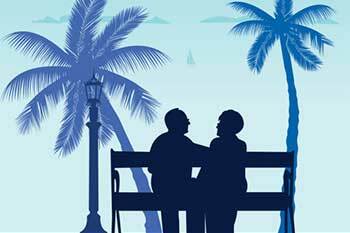 Today, senior citizens are not only financially aware, but they also want to be financially independent. With rising income and excellent investment opportunities, it is not difficult for a senior citizen to enjoy financial security even after retirement. In India, people have always been dependent on their children after a certain age; but now, times are changing. Today, senior citizens are not only financially aware, but they also want to be financially independent. With rising income and excellent investment opportunities, it is not difficult for a senior citizen to enjoy financial security even after retirement. Many senior citizens invest in equity through balanced funds to earn higher returns, but the safety of capital is still very important for them. With FD interest rates rising and senior citizens enjoying 0.5% higher returns vis-à-vis other citizens, fixed deposits are still the number one choice, while others include gold and land. Many retirees also invest in the Senior Citizens Savings Scheme (SCSS), making it a popular investment for those over 60. Results of a recent survey showed that more than 50% of senior citizens invested in SCSS followed by post office savings schemes. With life expectancy on the rise (@68.35 years as per 2015 data), people are living longer. Hence, a popular investment for people above 60 is the SCSS. Among fixed income securities, SCSS offers the highest post-tax returns to senior citizens. This is an interest of 8.3%, payable quarterly, which ends up becoming a regular source of income during retirement. SCSS offers safety of the invested capital as well as tax benefits and can be opened at any post office or scheduled commercial bank. You can invest a maximum of Rs15 lakh either individually or jointly with your spouse in multiples of Rs1,000. SCSS has a five-year tenure which can be extended by another three years. Section 80C tax exemptions up to Rs1.5 lakh a year are applicable on an SCSS investment. However, interest earned on SCSS is fully taxable. With inflation on the rise and the RBI hiking the repo rate twice in the last two bi-monthly policy reviews to control the same, senior citizens are looking forward to investing in fixed deposits. Banks are offering more than 7% a year on FDs, while senior citizens, depending on the bank, get an extra 0.25-0.5% compared to others. Senior citizens can invest in fixed deposits through laddering, which is an investment spread across maturities. When the shortest-term FD matures, it can be renewed for a longer maturity. Sadly, interest on FD is taxed as per tax brackets. If you want to save tax, look to invest in a five-year, tax-saver FD as the investment enjoys tax exemptions under Section 80C. You have to be careful with this investment as it has a lock-in period and early withdrawal is not possible. You will, however, earn lower interest than normal FDs. Post demonetization, banks reduced FD rates, while the government reduced rates on small savings schemes such as Public Provident Fund (PPF), SCSS, and even post office schemes. This prompted many senior citizens to rush to mutual funds, especially equity mutual funds, in the hopes of earning higher returns. As investments in equity entail a higher risk-higher returns approach, one needs to be extremely sure of what they are doing. When investing in equity, it is wise to invest via hybrid funds, popularly called balanced mutual fund schemes. Balanced funds invest in a mix of debt and equity and are less risky than equity funds. A senior citizen who is willing to accept moderate risk can invest in balanced funds, provided he/she stays invested in it for at least three years. How are balanced funds taxed? If you invest in a balanced fund which has more than 65% allocation to equity and stay invested in it for over a year but less than three years, long-term capital gains (LTCG) over Rs1 lakh in a financial year will attract 10% tax. On the other hand, if you stay invested in the same fund for less than a year, the short-term capital gains (STCG) will be taxed at 15%. Gains on an investment in a balanced fund which has less than 65% allocation to equity held for more than three years are taxed at a flat rate of 20% with indexation benefits. If a balanced fund has less than 65% in equity and is held for under three years, STCG is taxed depending on the applicable tax bracket. Financial advisors recommend an investment of at least 70% in debt schemes for senior citizens. Most of the investment is in fixed-income instruments such as bonds and money market instruments like commercial papers, Treasury bills, and certificates of deposits (CDs). If a senior citizen wants to invest in mutual funds and doesn’t want to bear much risk, he/she must consider the relatively safer debt funds. Taxation on these funds is the same as balanced funds with the only difference being that majority allocation is towards debt instruments. A senior citizen willing to accept risk for higher returns can invest in diversified equity funds. These investments are spread across sectors like IT, Pharma, FMCG, and so on, thus protecting them from sector-specific headwinds and leaving much more scope for higher returns. Choose large-cap equity funds which invest in companies that are considered extremely stable. Investment in equities is safe over the long-term; stay invested for at least three years for decent returns, or ideally around seven-eight years to enjoy good returns on the investment.